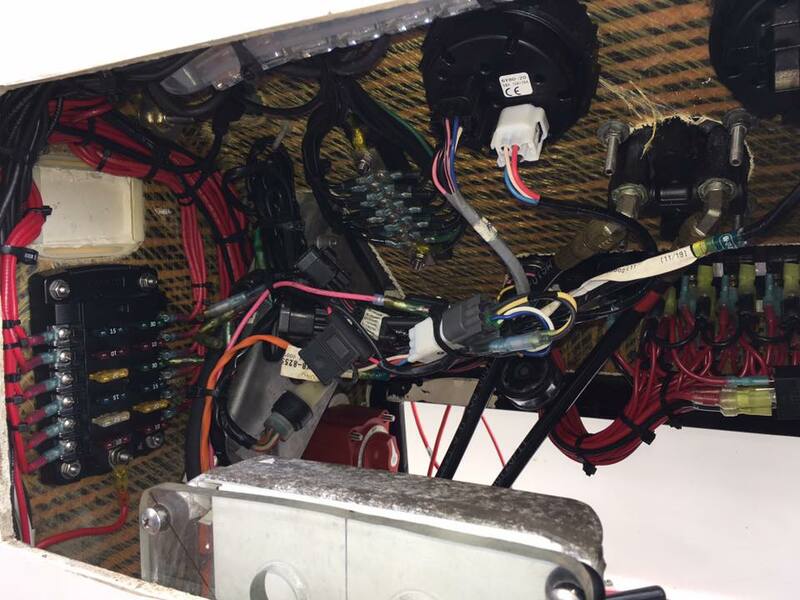 The wiring in a skiff is all too many times overlooked for many flats boat owners. That is, it’s overlooked until a problem arises and then panic ensues. There is nothing quite as frustrating (or scary) than being stranded on the water with a non-functional skiff. 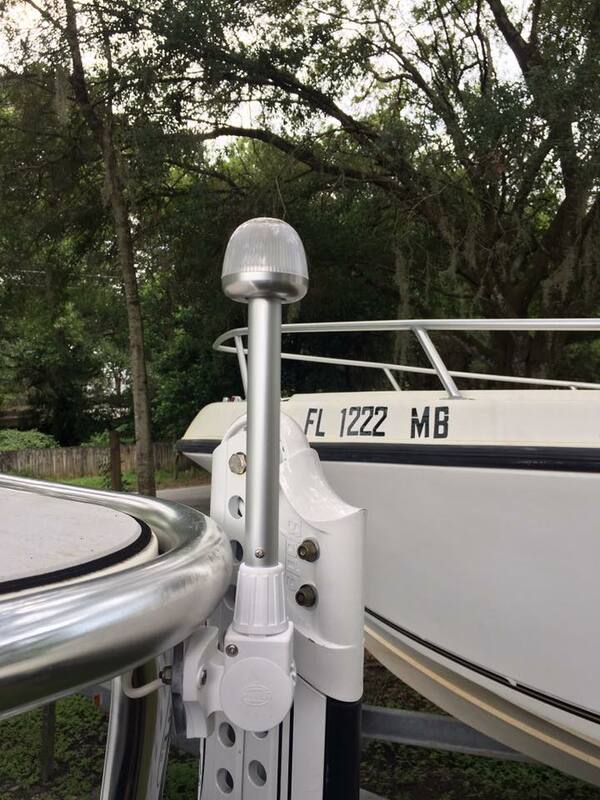 Add in a fast outgoing tide and a short anchor rope and what started as an inconvenience can quickly become a skiff emergency. 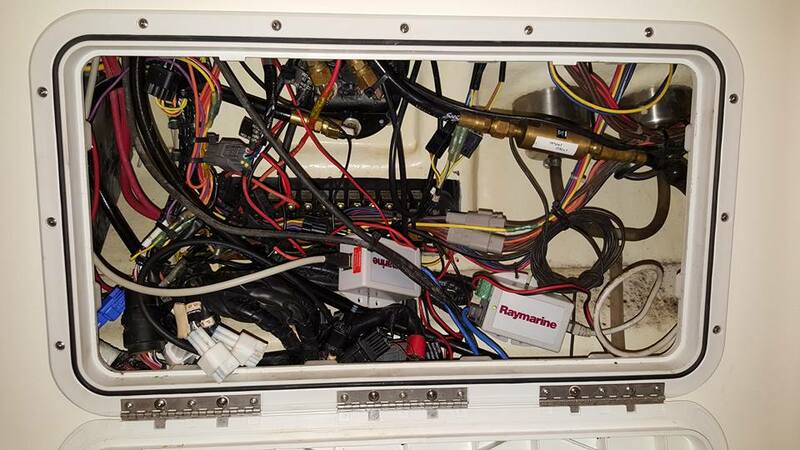 Often times, especially with used skiffs that have passed thru multiple flats boat owners the wiring on a skiff becomes a rat’s nest of old cable. This mess can make it almost impossible to figure out what is going on, much more so when you are stranded on the water. What is the old saying? An ounce of prevention is worth a pound of cure. 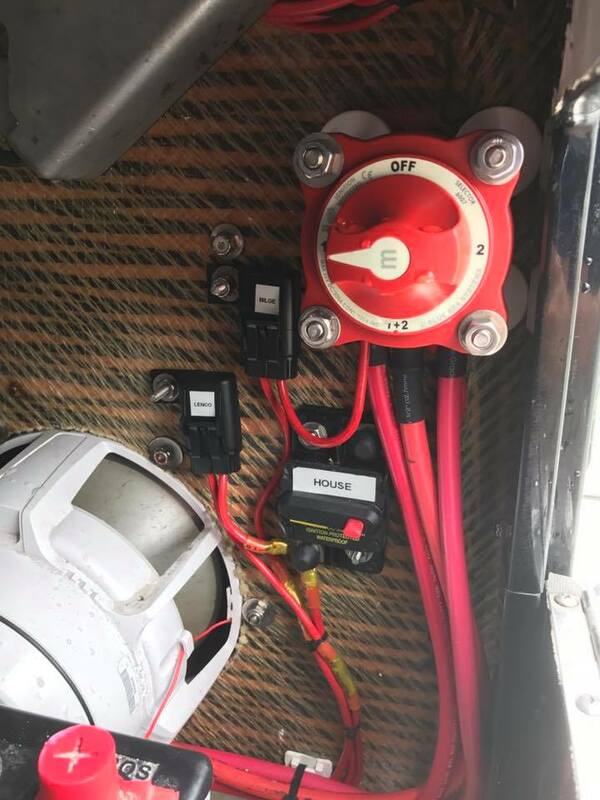 Nothing can be truer when dealing with electrical issues on a flats boat or skiff. 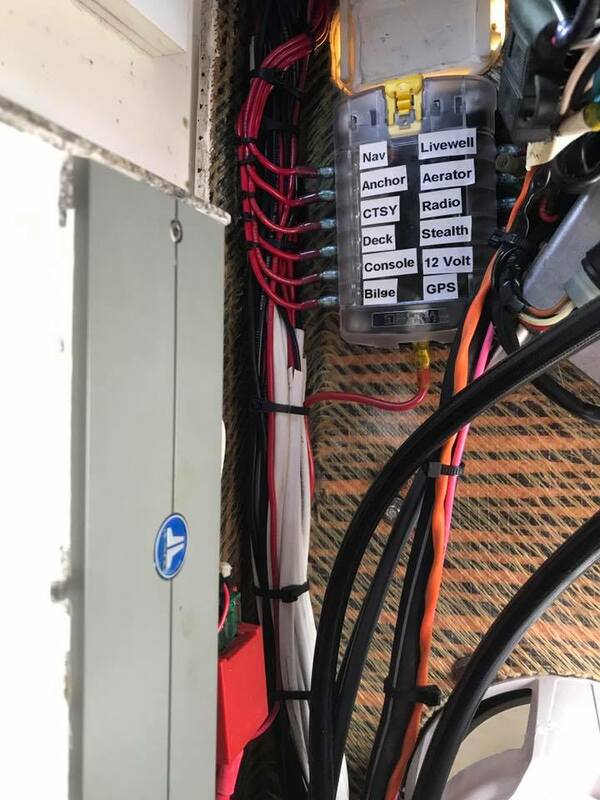 Mac Carter from Central Gulf Coast Marine Services specializes in make a skiff wiring nightmare into a flats boat electrician dream. 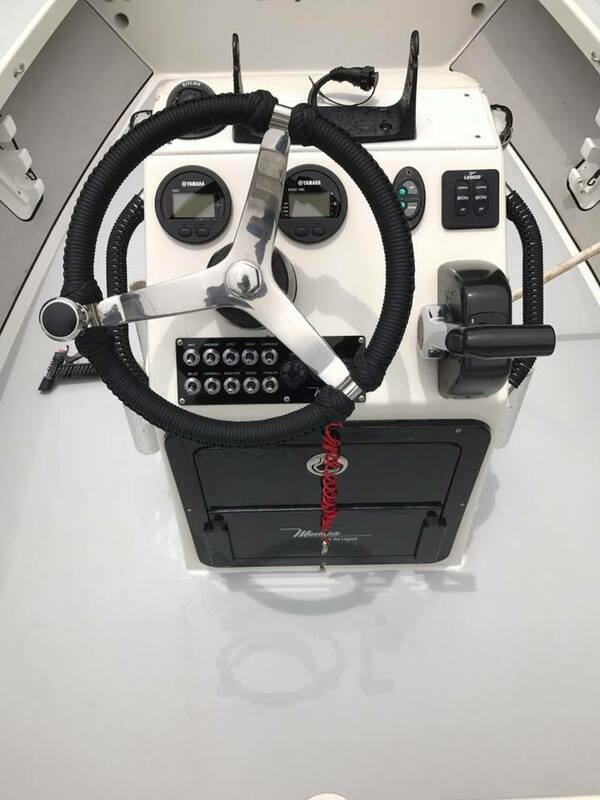 His latest project was an otherwise beautiful Maverick Skiff HPX 18. 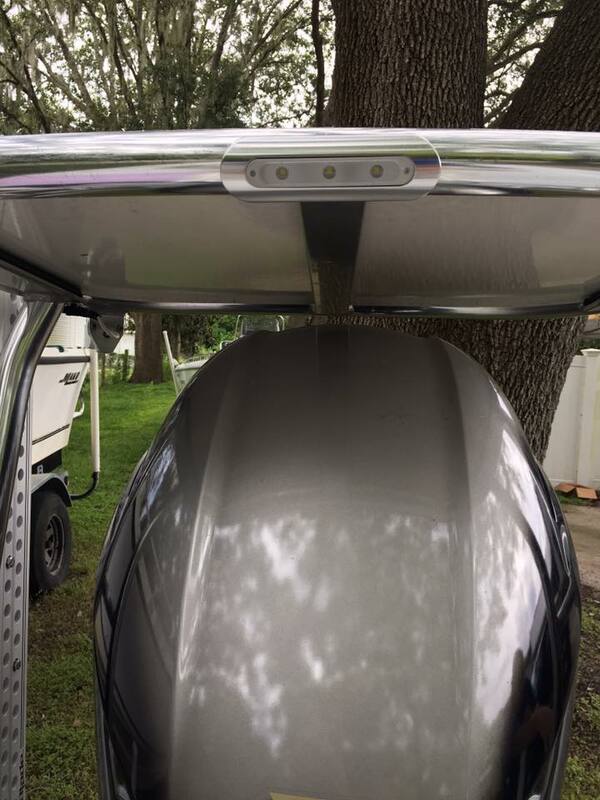 This pristine skiff had an uglier side as you can see below in this picture after only 5 years of use. 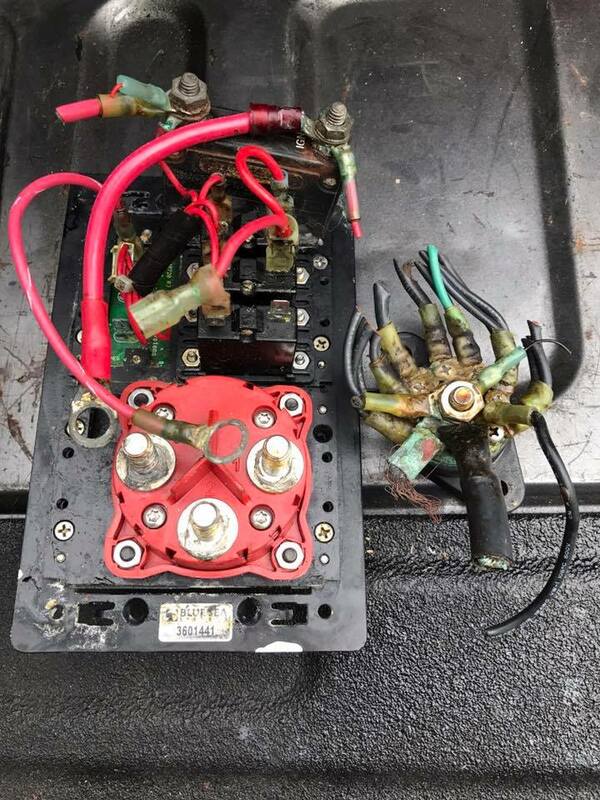 Mac totally rewired the skiff and also moved the battery switch from the rear where moisture is prevelent and upgraded the skiff with a stealth onboard charging system that charges the tolling motor batteries. 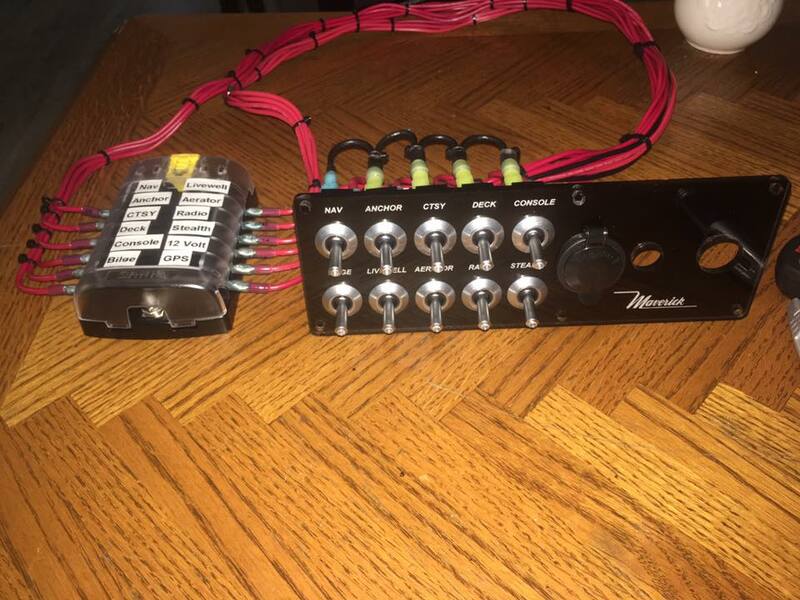 Mac said the customer asked for it to be on a switch so Mac hooked it up via a relay to allow him the option to turn it off.